We welcome all women to join us! Scroll below for upcoming events. Join us on Tuesday night during ADM’s School of Theology, Culture & Public Engagement 2019 for a special ENGAGE Dinner for Christian women with Katelyn Beaty. Enjoy a two-course meal, as Katelyn speaks to us about her recent book ‘A Woman's Place: A Christian Vision for Your Calling in the Office, the Home, and the World’. There will also be time for Q&A, so bring along your questions. Your voice is the most powerful tool you have for communicating. It is through your voice that you connect with an audience. Your voice can influence and inspire, or work against you, weakening your message, and blocking you from having the impact you were hoping for. Do you feel as though your voice lacks power and gravitas when it matters most? Would you like to feel more confident when speaking in public? Do you want to be able to communicate your ideas easily and effectively? This workshop is an opportunity for you to up skill in the vital art of communication. This practical workshop will use theatre-based techniques to enhance your voice and presentation skills for greater impact. Actors are experts at engaging an audience; when mastering their craft they learn how to use their voice to influence any audience. These skills are transferable and can be used by anyone. Jess Chambers will draw on her experience in coaching actors for major theatre performances to help you learn to express yourself with confidence. You will learn strategies to enhance physical and vocal presence and improve your vocal delivery so that your words will resonate and have an impact on your audience. Jess Chambers works internationally as a voice and dialect coach. She coaches actors in the spoken voice: helping them to be heard and understood, and to create believable and engaging performances. She is currently coaching the cast of Jersey Boys, which will open in Sydney in September. She is the voice coach at Bell Shakespeare, where she has recently coached productions of Julius Caesar, Antony and Cleopatra, The Merchant of Venice, and Richard 3, and she was Voice and Dialect Coach on Matilda the Musical in Australia and on the West End. Her other credits include numerous productions at Sydney Theatre Company, at the Shaw Festival Theatre in Canada, and at theatres across London. Jess regularly uses her experience with actors to train other professionals who rely on their voices to engage and persuade, including lawyers, teachers, and sales representatives. She trained at the Royal Central School of Speech and Drama, London. At this ENGAGE Dinner our guest speaker will be Rev Dr. Michael Jensen. Michael is a regular commentator in both religious and secular forums, including ABC's The Drum. He will share with us from his many years’ experience engaging publicly as a Christian. Dr Michael Jensen is the rector at St Mark's Anglican Church, Darling Point and was previously a Lecturer at Moore Theological College. He has written a number of books including 'Is Forgiveness Really Free?' and 'My God, My God – Is it possible to believe anymore?'. 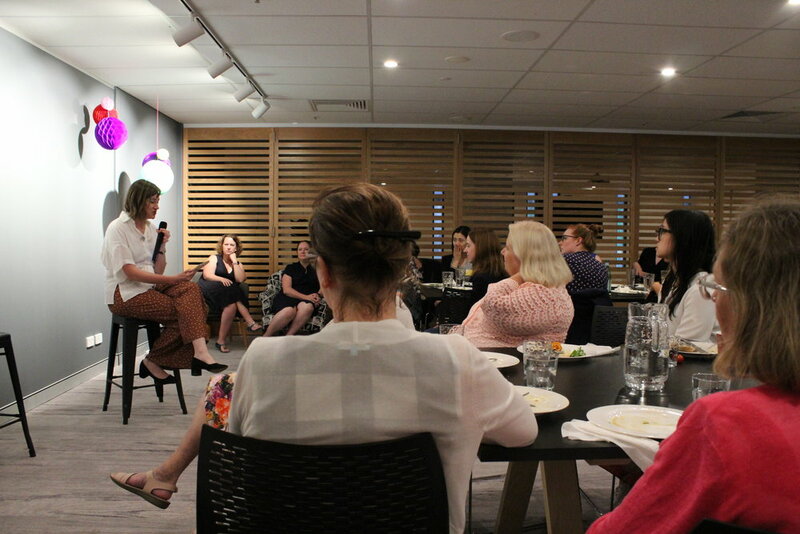 This ENGAGE Masterclass is designed to give women a basic introduction to a range of practical information and tools regarding: budgeting, investing, getting paid appropriately for your freelance work, salary sacrificing into Super and provisioning for your future. 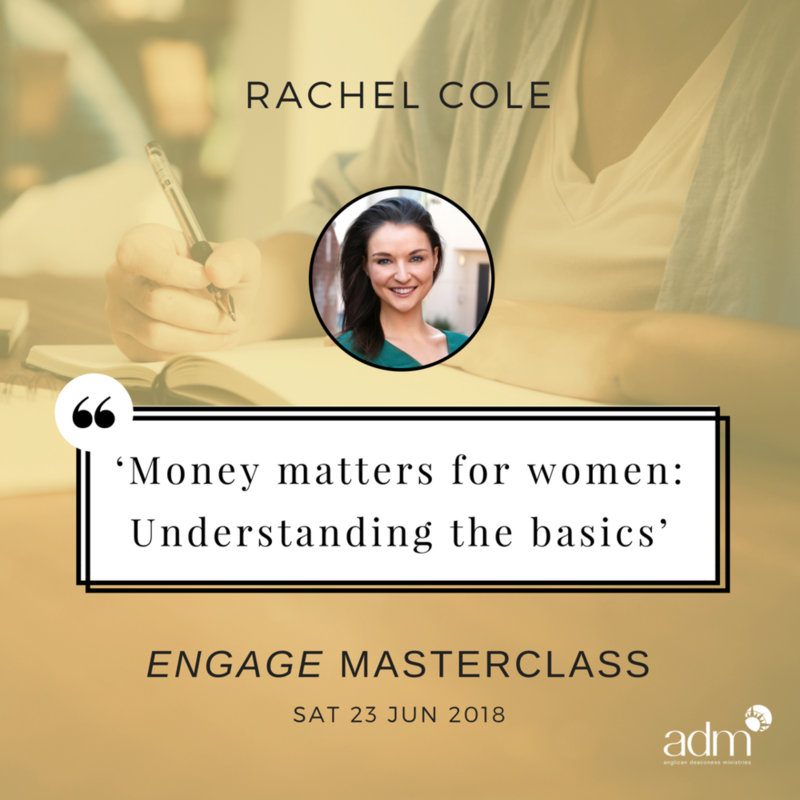 Our guest Presenter, Rachel Cole will take us through these financial issues commenting on practical tips and on key statistics that are particularly relevant to women and our financial outcomes. Lynn Cohick (Ph.D., University of Pennsylvania) is Interim Dean of Humanities and Theological Studies and Professor of New Testament at Wheaton College. Prior to commencing at Wheaton College in 2000, Lynn taught for three years at Nairobi Evangelical Graduate School of Theology in Nairobi, Kenya. Her research focuses on the ways Jews and Christians lived out their faith in the ancient settings of Hellenism and the Roman Empire, and how Jews and Christians today can better appreciate and understand each other. Lynn also explores women’s lives in the ancient world, most recently focusing on Christian women in the early church. She enjoys studying the Apostle Paul and his epistles within their larger Jewish and Greco-Roman contexts. Her publications include Christian Women in the Patristic World: Their Influence, Authority, and Legacy in the Second through the Fifth Centuries (co-authored with Amy Brown Hughes, Baker Academic, 2017); Philippians in the Story of God Commentary (Zondervan, 2013); Ephesians in New Covenant Commentary (Eugene, OR: Cascade Books, 2010); Women in the World of the Earliest Christians (Baker Academic, 2009). Do you love watching TV and movies … and giving your opinion on them? Imagine if that was your job and you got to travel to film festivals around the world. Sound like a dream? Well, that’s what Alissa Wilkinson does for a living! 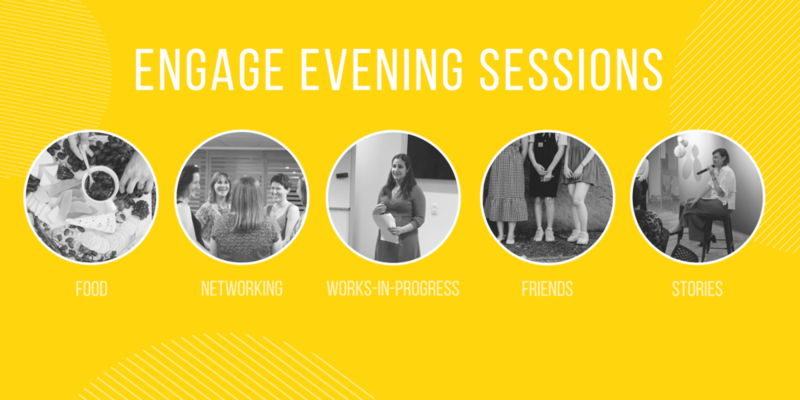 Join us for an Engage masterclass for women with our 2017 ADM Visiting Fellow, Alissa Wilkinson. 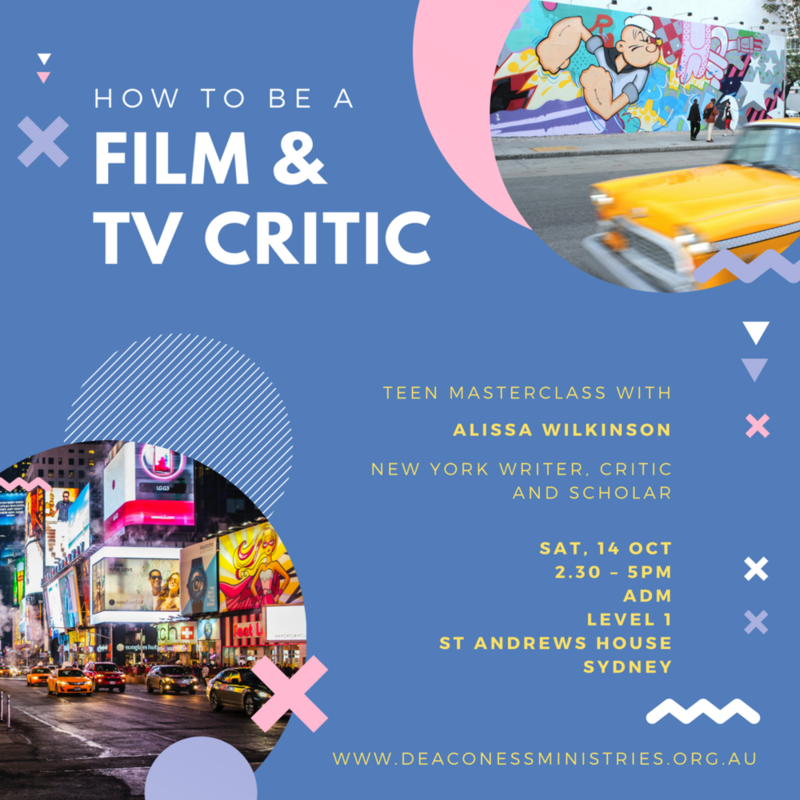 Alissa will share practical advice and skills from her extensive experience as a prolific writer, scholar and critic. Dr Megan Best is a researcher, bioethicist and palliative care doctor. She currently works in the psycho-oncology department at the University of Sydney and at the Institute for Ethics & Society at The University of Notre Dame Australia. She has worked in health ethics for over 20 years and is passionate about encouraging the Christian public to live out their faith in the choices they make in medical care. At this Engage lunch, Megan will share with us her knowledge and experience in Christian ethics and public engagement, focussing in particular on the example of the current euthanasia debate. Even though the majority of the public are supportive of a change in the law to permit euthanasia, the majority of palliative care workers are opposed. During this discussion, Megan will discuss end of life care in Australia and explore reasons for this mismatch in opinions. She will then talk about a Biblical response to supporting those people who are suffering at the end of life. Our speaker will be Dr. Erin Wilson, who is the Director of the Centre for Religion, Conflict, and the Public Domain, and Associate Professor Politics and Religion at the University of Groningen. Erin has published on religion and global justice, globalisation, active citizenship and the politics of asylum. She has most recently edited the volume, “The Refugee Crisis and Religion” (2017). Her expertise is in the area of religion and politics, secularism, refugees and forced migration, human rights, development, global justice, globalisation. Booklet and a catered lunch is provided. 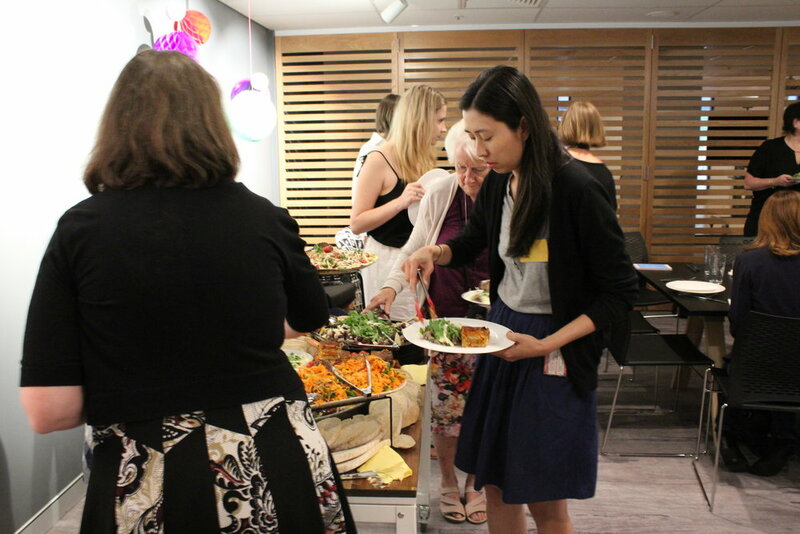 This Engage Retreat will be held at ADM’s Sydney offices. A roundtable lunch with our guest speaker, Dr Natasha Moore. At this Engage lunch, Natasha will talk about how to choose our battles when speaking into a polarised public square. She’ll help us think about ‘tone’ – how we come across to others and what to consider when weighing in on public debate. 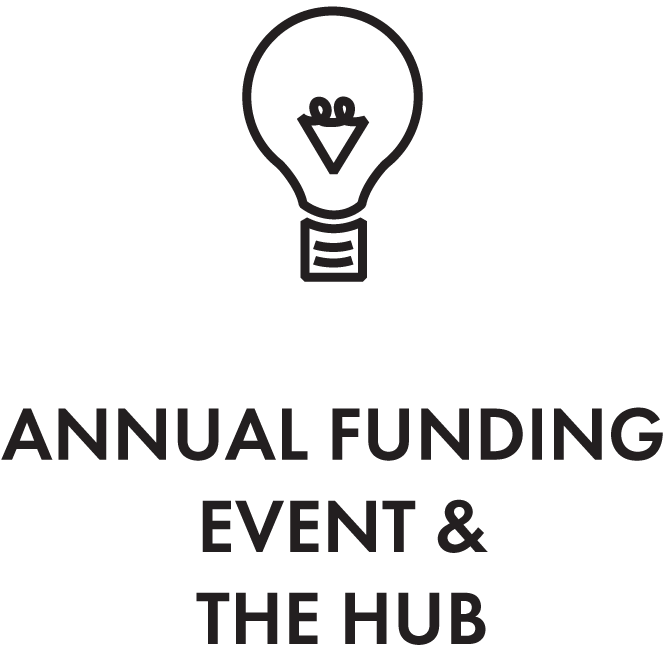 Participants are encouraged to bring some ideas about how their own work and expertise might feed into the public conversation, and we will spend some time talking informally about some of those ideas. Natasha Moore is a Research Fellow at the Centre for Public Christianity (CPX). She studied languages at the University of Sydney, then completed a PhD in English Literature at the University of Cambridge. She is the author of ‘Victorian Poetry and Modern Life: The Unpoetical Age’, and editor of ‘10 Tips for Atheists ... and other conversations in faith and culture’. She has worked at CPX for 3 years and has written for the mainstream media on topics that include books, movies, politics, food, domestic violence, Scripture in schools, war, Thanksgiving, and freedom of speech. 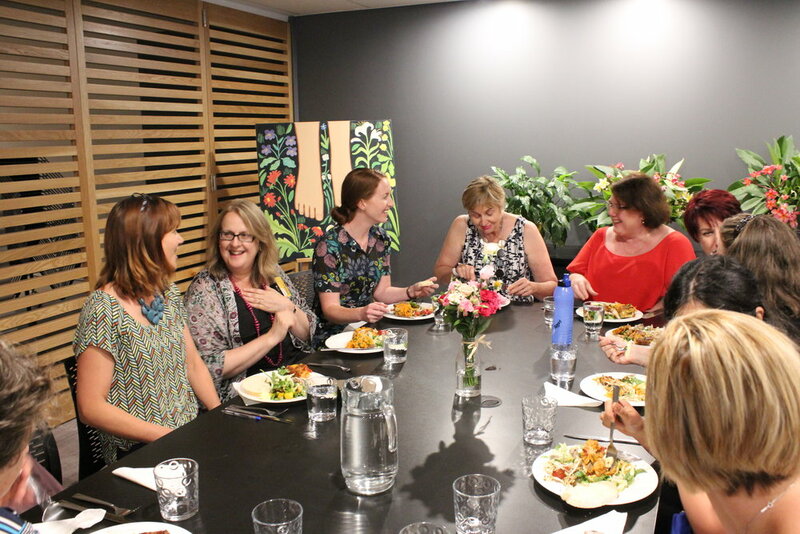 A roundtable lunch with our guest speaker, Melissa Lipsett. 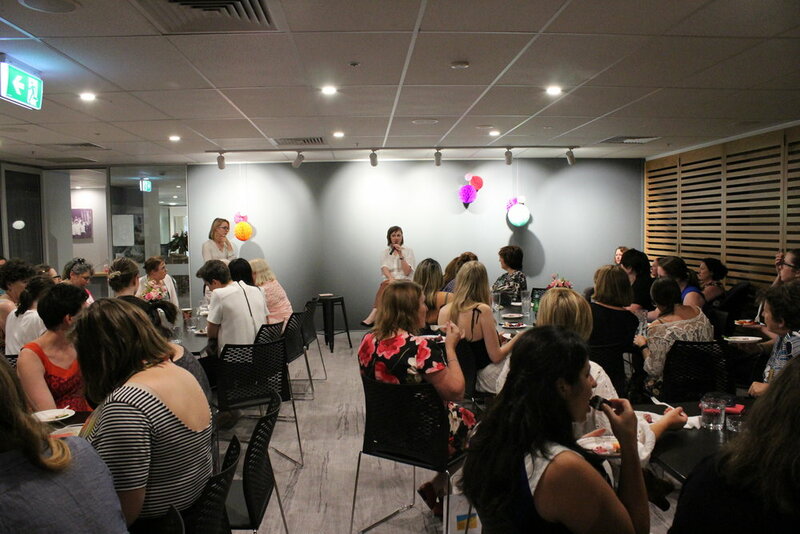 At this Engage lunch, Melissa will share with us some ideas from Sheryl Sandberg’s famous book Lean In: Women, Work and the Will to Lead, which “offers practical advice to help women achieve their goals”. Join us for what is sure to be a lively time of conversation and debate, as Melissa helps us explore these ideas as Christian women. Melissa Lipsett is the Chief Operations Officer of Bible Society Group, which includes Bible Society Australia, Centre for Public Christianity, Eternity News, and Koorong Christian bookshops. Prior to serving with Bible Society she was the Executive Minister of a large evangelical church on the Gold Coast. Melissa loves to encourage women to use the very real gifts God has given them. A two-hour Engage Masterclass on social media, presented by Kirryn Zerna. Kirryn will give us an intensive crash course in 'How to become an expert in your field'. Social media proves the perfect tool to position your brand as an expert in your field so that people trust you, want to work with you and in time, to rave about you. In this session we’ll go through simple steps that you can apply immediately. Kirryn Zerna has worked with small and large businesses to create remarkable brand communications for over a decade, and now she builds that capability into the organisations that she works with. She combines her deep experience in corporate communications and copy writing with the latest research of social media management in order to deliver a tailored approach for her clients. Kirryn was recently awarded the 2017 Kerrie Nairn Scholarship by Professional Speakers Australia to assist the development of an emerging speaker to become an outstanding professional leader. Join us for a roundtable lunch with our guest speaker, Kara Martin. this biblical truth which graced every believer with dignity and the opportunity to participate in God's work.” A good half of our time with Kara will be dedicated to discussion, allowing us to workshop what she suggests as a model for thinking about our own work and public engagement. A catered lunch will be provided. RSVP is essential. Kara Martin is Project Leader with Seed, lecturer with Mary Andrews College, and was formerly Associate Dean of the Marketplace Institute at Ridley College in Melbourne. She has worked in media and communications, human resources, business analysis and policy development roles, in a variety of organisations, and as a consultant. 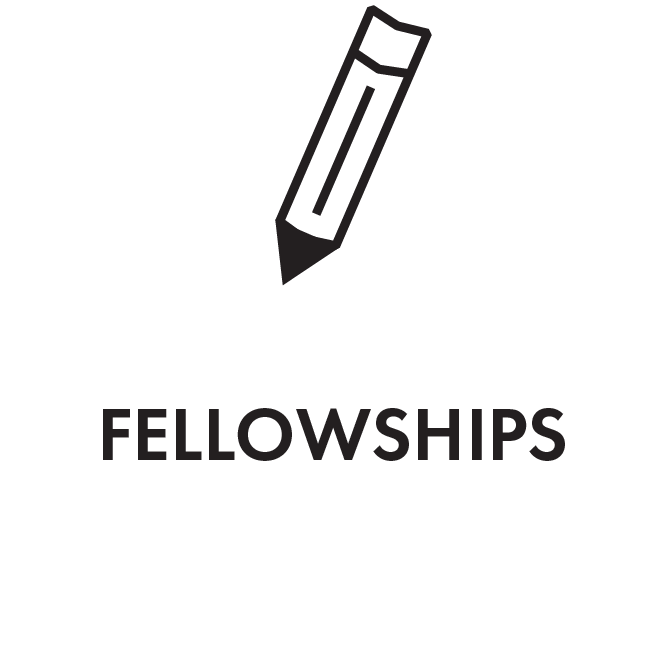 Kara is currently under contract to write a two-volume exploration of Workship: How to Use Your Work to Worship God. Join us for a roundtable lunch with our guest speaker, Scott Stephens. 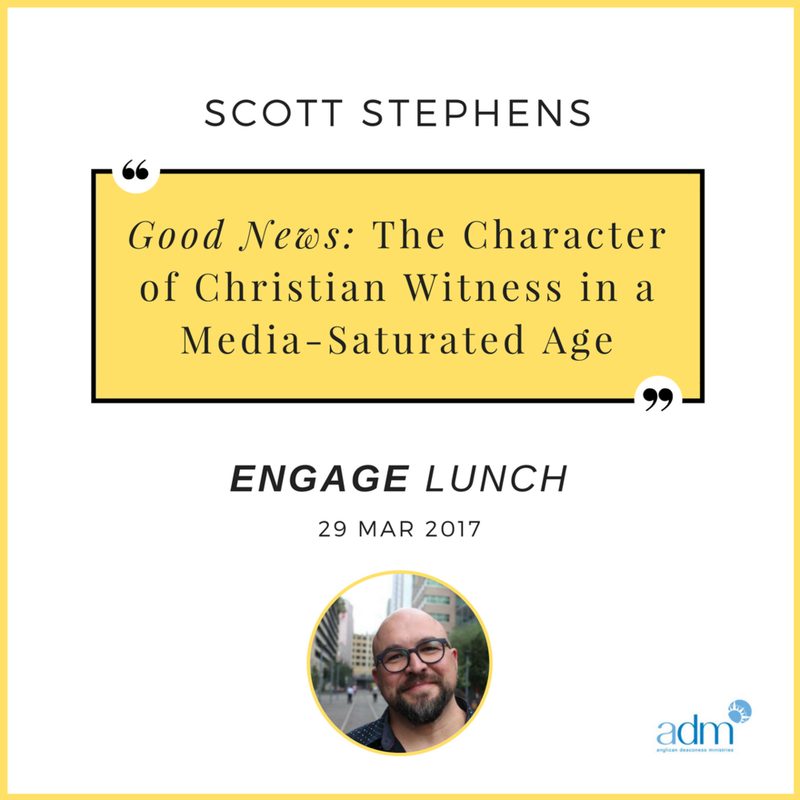 At this Engage lunch, Scott will offer theological and moral reflection on the state of public discourse, and make some specific suggestions about the distinctive character and quality that Christian public engagement ought to have in our media-saturated age. A catered lunch will be provided. RSVP is essential. Scott Stephens is Editor of the ABC’s Religion and Ethics website, and specialist commentator on religion and ethics for ABC radio and television. Before coming to the ABC, Scott taught theology, ethics and Semitic studies for many years. He has published widely on moral philosophy, theology and political theory, and is currently writing a book on whether public ethics can survive in a media age. Join us for an intimate masterclass event with our 2016 ADM Visiting fellow, Elizabeth Oldfield. Liz will share practical advice and skills from her experience. A light supper will be provided. RSVP is essential. Elizabeth Oldfield is the Director of Theos, the UK's leading religion and society think tank. Before joining Theos in August 2011, she worked for the BBC in both television and radio, and also for the Church and Media Network. She has an MA in Theology from King's College London.